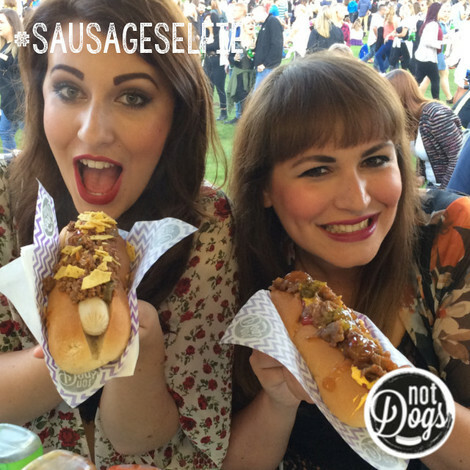 One of our favourite things has been collecting hundreds of #SausageSelfie pictures at various festivals and pop-ups up and down the country and now… we’d like to extend the tradition at our first restaurant in Birmingham’s Bullring! Post your #SausageSelfie (it doesn’t have to be a selfie, just a photo of you, you and your friends, family, even your dog enjoying a Not Dog or another one of our menu items), tag us in across social media using the hashtag #SausageSelfie and each month we’ll pick our favourite to win a prize! We’ll mix up the prizes but whether it’s a meal at Not Dogs on us, an exclusive Not Dogs apron or an invite to one of our parties, we’re sure it’ll be worth it! 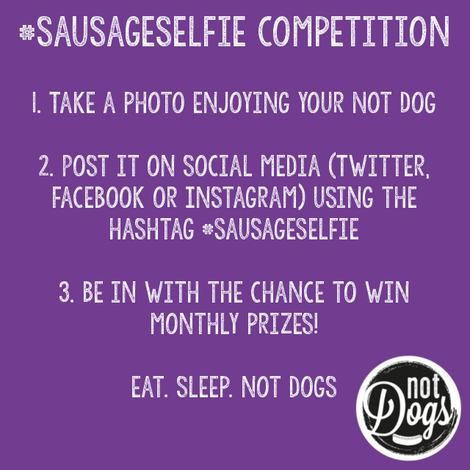 Look forward to seeing your #SausageSelfie faces! The Not Dogs #sausageselfie is open to all UK and Ireland residents. To apply you must be aged 16 and over. The competition will run from Tuesday 24th January. Only correct entries completed on Twitter, Facebook and Instagram will be valid. Any application containing incorrect or incomplete information will be invalid and will not be considered. 1 x winner overall will be announced monthly across Not Dogs social media channels. The decision is final and no correspondence will be entered into. Winners will be required to provide their postal addresses and/or email addresses in order to receive the prize. Until Not Dogs receive this, no prize will be awarded. If the winner does not provide this within 3 months of them (the winner) being announced, the prize will be forfeited. Dragons' Den Gets Not Dogged!